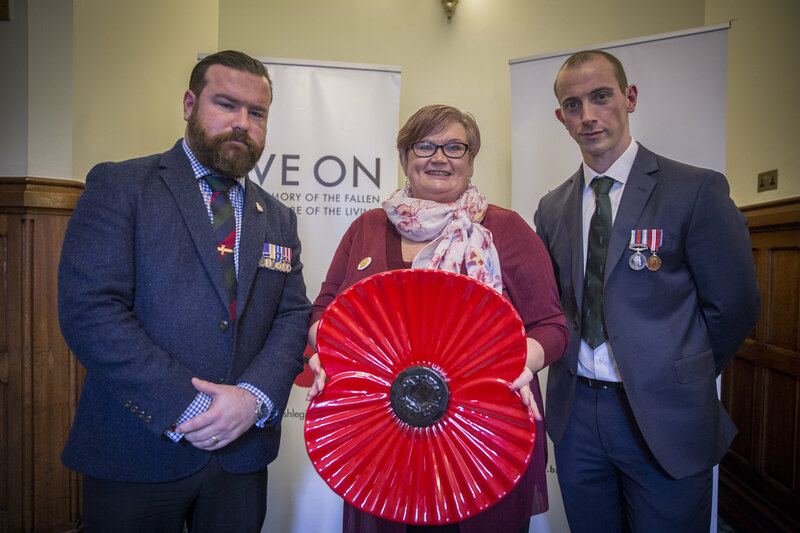 Carolyn Harris MP recently met with The Royal British Legion’s Wales Area Manager Antony Metcalfe to discuss support for the Armed Forces community in Wales. The Royal British Legion provides welfare assistance thousands of veterans, serving personnel and their families in Wales every year. It is also the national custodian of Remembrance, best known for its emblem the red poppy. Carolyn Harris MP attended the Legion’s event in Parliament to show his/her support for the charity’s work, and to meet Legion membership, staff and volunteers to discuss issues facing the Armed Forces community in Wales. Last year in Wales, the Legion provided over £500,000 in grants to support members of the Armed Forces community and engaged with almost 6,500 people directly via its high street Pop in centres and community outreach. The Legion’s own handy van service ‘poppy calls’ also completed 2,350 jobs across Wales, helping people in their own homes to live independently and with the support they require. Antony Metcalfe the Legion’s area manager for Wales, said “I was delighted to see Carolyn Harris MP and we were grateful that [he/she] took the time to drop in. The Royal British Legion offers a range of welfare support all year round, and In 2015/16, we responded to over a million requests for help – more than ever before. This event offered a great opportunity to spread the word about the range of services that we provide in Wales, and hear from Neil Adams and Stewart Harris who we have supported since they left the Forces. I look forward to working with them to ensure the needs of our Armed Forces community are reflected in policies at all levels in Wales and the UK”.